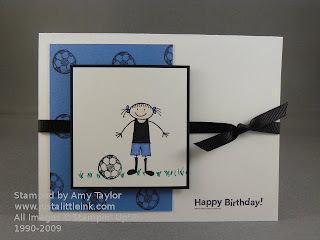 I had a few minutes today to work on a couple of cards that will go into a donation basket for a local soccer league fundraiser next month. The cards are fairly simple, but I'm pleased with how they turned out. 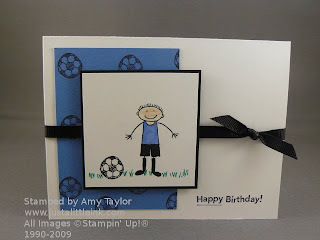 Both use the All In The Family and On Your Birthday stamp sets.